No visit to Salzburg would be complete without a visit to the ‘old town’. Narrow cobbles streets, good restaurants and romantic gardens. The world famous baroque architecture is beautiful and you feel as if you have stepped back in time. 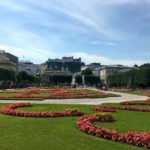 Salzburg’s most visible icon is this mighty 900-year-old cliff-top fortress, a powerful castle sitting in a prominent position, undoubted Salzburg′s prime attraction and most dominant feature of the city′s skyline. Easy to spend half a day roaming the ramparts for far-reaching views over the city’s spires, the Salzach River and the mountains. 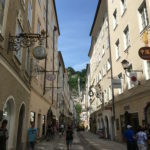 Salzburg′s famous lane: one expensive boutique next to another. 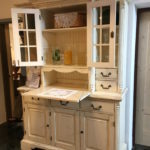 Old buildings, excellent restaurants & cafes and great shopping. 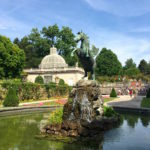 Mirabell Palace is a historical building in the centre of Salzburg and with its gardens a listed cultural heritage monument. A perfect place to stroll and relax after a long day of sightseeing with benches to sit and enjoy the view of the fortress. Salzburg – a beautiful town with an interesting historical background and charming shopping streets. Definitely worth a stop during your next holiday in Austria! 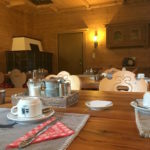 Imagine the aroma of freshly baked bread, homemade spreads and Tyrolean mountain air… a perfect start for your skiing day at the SkiWelt Wilder Kaiser Brixental. 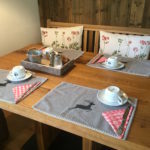 To top it off, you can enjoy your breakfast in one of the newly renovated breakfast rooms with a view over the nursery slopes directly opposite the 3 star Alpenpension Claudia in Ellmau. Tasted today and highly recommended by your SkiAustria Team!